Spanish automaker SEAT unveiled its new Minimó all-electric concept car at the Mobile World Congress today. A report claims there may be a production version of the vehicle in 2021. Swedish automaker Volvo unveiled today two new concepts based on its Compact Modular Architecture (CMA). The new platform was developed to support all-electric and hybrid powertrains. The battery-powered version of the concepts are expected to achieve around 215 miles on a single charge. I was in China this week to witness the unveiling of many new products from a huge Chinese conglomerate you may or may not have ever heard of — LeEco. The company, which recently changed its name from LeTV, took to its own LeSports stadium in Beijing to announce not only several new phones, but a VR headset, some new TV sets, and to top it all off, a concept car. Update: Check out the full announcement video. Vokswagen sent out a press release this morning with new images to tease an upcoming electric plug-in hybrid SUV concept to be unveiled at the Beijing Auto show next week. Although Toyota is betting big on hydrogen vehicles, the Japanese automaker seems to be slowly warming up to electric vehicles as an alternative to broaden its lineup of zero-emission cars. 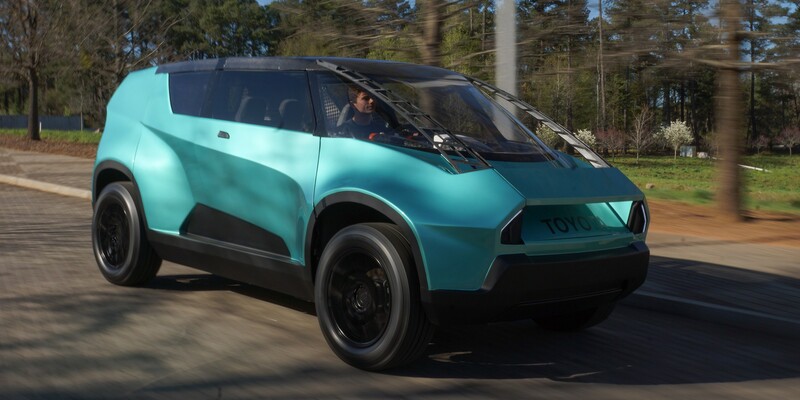 This week, the automaker unveiled a new electric vehicle concept in partnership with Clemson University’s International Center for Automotive Research (CU-ICAR). At CES in Las Vegas last night, Volkswagen unveiled its latest all-electric concept vehicle: BUDD-e, a battery-powered microbus. BUDD-e is the first vehicle designed on Volkswagen’s new electric platform called MEB, which is short for Modular Electric Toolkit. We were kind of disappointed to learn yesterday that Faraday Future’s first big reveal is a concept race car, which will act as a “test bed” for the company’s technology, and not an early prototype of FF’s first production car.